Today, another image from Tim Palen’s upcoming book, TIM PALEN: Photographs from the Hunger Games, was released via Entertainment Weekly. 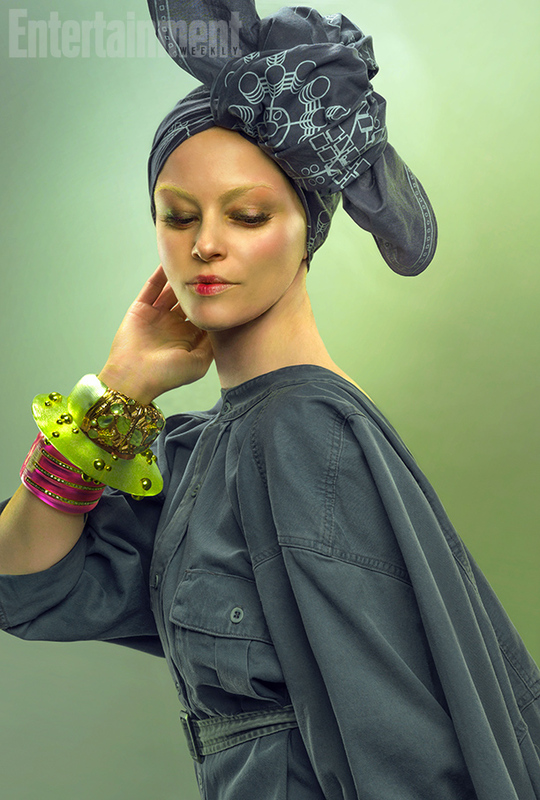 This time, we got a look at District 13-era Effie. Wait, is that even Effie? Of course we recognize her from the inventive use of the bandana and some signature accessories she was able to swipe on her way out of the Capitol, but her face looks a bit different. Maybe it’s that Effie dug heavily into the makeup stash used during Katniss’s first failed Mockingjay transformation. Or maybe someone went a little Photoshop happy. The photograph itself is quite lovely, and the posing very much in Effie’s character. I suppose if we imagine that Effie commissioned this piece and wanted her face to have all that extra…work to make the “best impression” possible, then, ok, we get it. Really though, we think someone just really enjoys using Photoshop.